Remarks: Relocation express bus services from Pudu Raya to Terminal Bersepadu Selatan (TBS) effective from 1st Nov 2015. Before the name of Pudu Sentral is used, this terminal Pudu Raya was the only bus terminal in Kuala Lumpur and it used to serve for coaches departing to and arriving from all parts of Peninsular Malaysia. 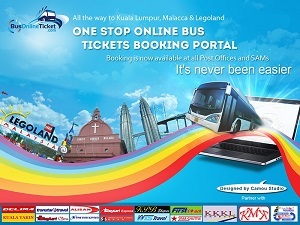 After full-scale upgrading and reopening in April 2011, It mainly serves for north bound coaches and aiport (LCCT and KLIA) coaches. After the upgrade, Pudu Sentral is brighter, cleaner, and more air-conditioning waiting area for commuters while waiting for boarding. 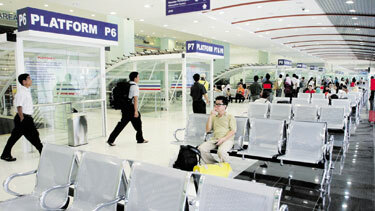 How do get to Pudu Sentral? 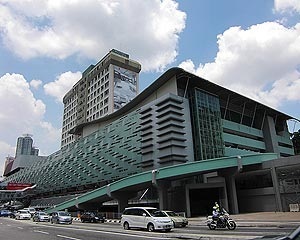 The nearest LRT train station to Pudu Raya (or Pudu Sentral) is Plaza Rakyat station (Ampang Line), which is just behind the terminal. If you are coming by Kelana Jaya Line, please change your train at Masjid Jamek interchange station from Kelana Jaya Line to Ampang Line (underground).